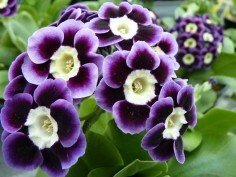 Border auriculas are meant to be grown in the garden and are therefore vigorous, free-flowering plants that are often scented. They are very easy to grow in the garden as long as you ensure they are in a free-draining spot in part-shade. They look best in large pots or planted in groups at the edge of a border or rockery. They will need dividing every couple of years. 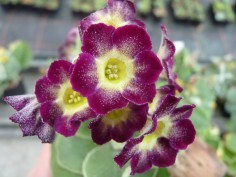 For more information on growing Border auriculas please consult our growing pages.